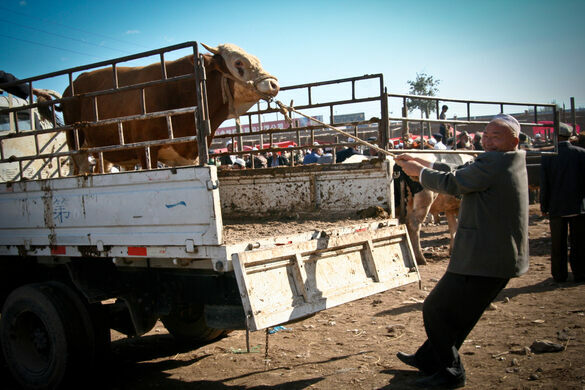 The famous livestock market just outside of China’s westernmost city has met every Sunday for thousands of years. 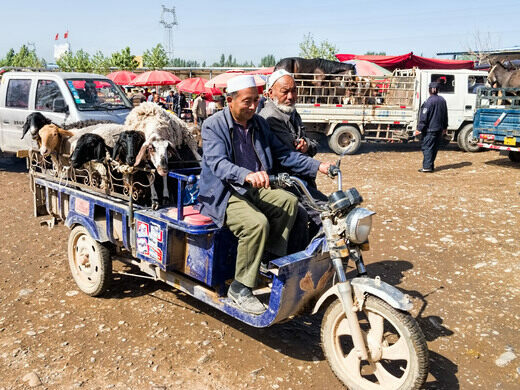 A crucial hub on the Silk Road, Kashgar has served as an oasis and trading post between China, the Middle East and Europe for ages. The bazaar is open every day of the week for handicrafts, clothes, food, etc., but it’s on Sundays that things really get going. 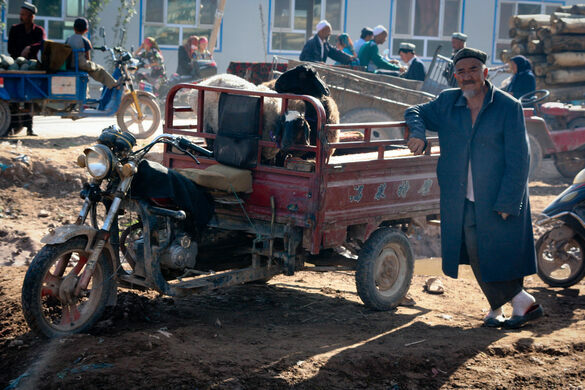 That’s when local farmers, mostly of Uighur descent, gather to buy and sell livestock including sheep, goats, camels and horses. 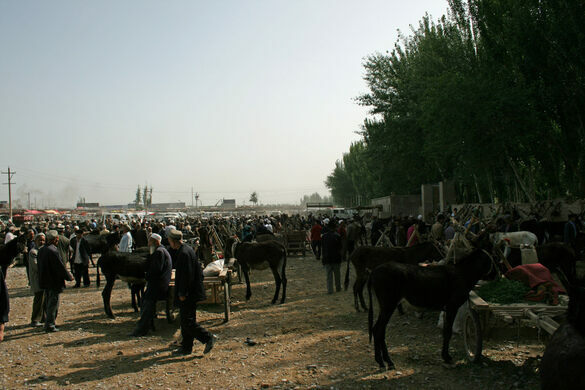 The market competes with other local markets and even ones further out, like the one in Hotan, but the Kashgar Market is by far the largest and most popular. This has been true since ancient days. In BC 128 an envoy of Emperor Wudi reported seeing a bustling market in the West with people from all over selling their wares. 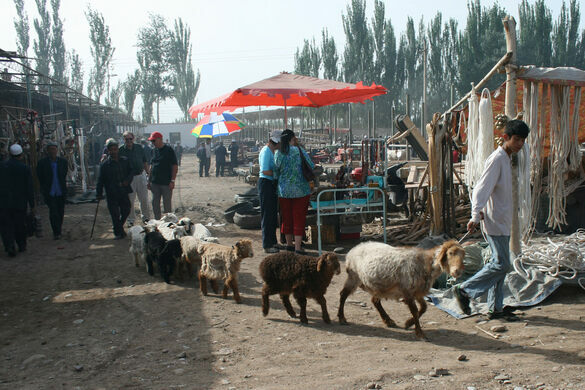 Kashgar remains one of the best examples of Islamic China. 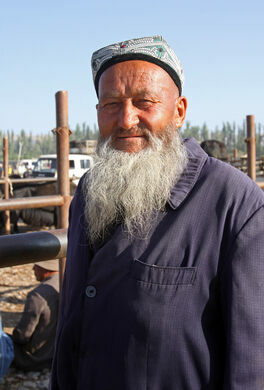 Its influences from the Middle East are present at the market, as are those from Tibet, Mongolia, and Turkey. 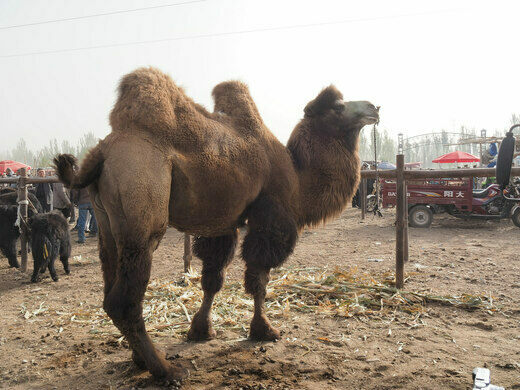 You can find a little piece of each of these at the Kashgar Bazaar–for a price, of course. 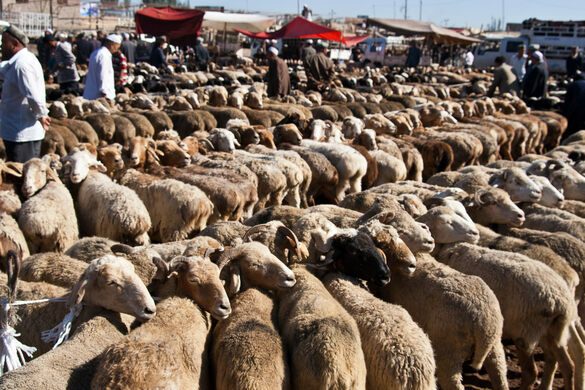 The market opens early every Sunday morning and goes into the early afternoon, the market is located about 6km from the city center of Kashgar. Take bus number 13 or 23 from the Sunday Bazaar. 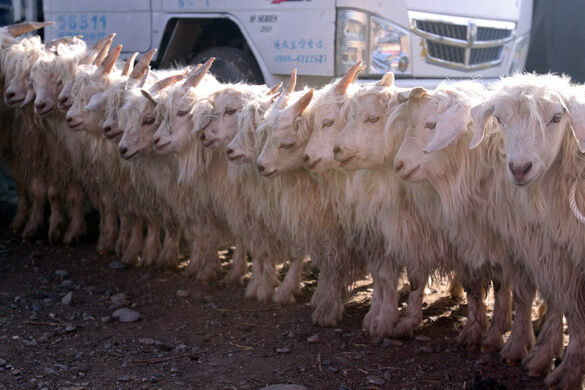 Keep an ear out for the word "posh" which means "get out of the way" and keep alert at all times for loose livestock and men test riding horses. An exquisite example of Uyghur Islamic architecture. The world's largest natural arch was forgotten for over 50 years after its discovery.